oamazz Hassle-free transaction. 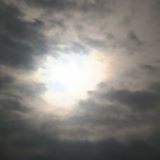 Hope to deal again. @llazyace is on Carousell - Follow to stay updated! 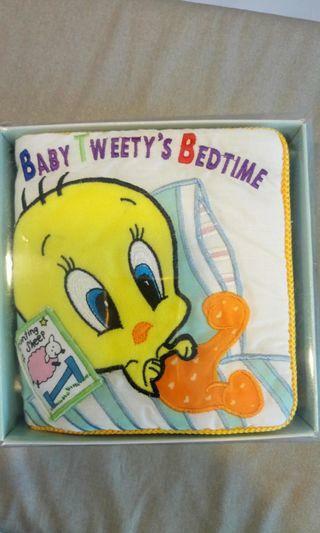 Brand new in box Baby Looney Tunes cloth book (Baby Tweety's Bedtime). Meet up at Bouana Vista mrt (East West Line or Circle Line). Add $2 for normal mail. 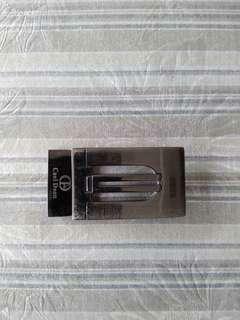 Cael Deon Belt Buckle (Not Goldlion / Braun Buffel / Coach / Bally). Used Cael Deon belt buckle. Still in good condition. Can fit up to 3cm of belt width. Not for fussy buyer. Meet up at Bouana Vista mrt (East West Line or Circle Line). Add another $1.00 for normal mail. Goldlion Belt Buckle (Not Harley Davidson / Adidas / Nike / Coach). 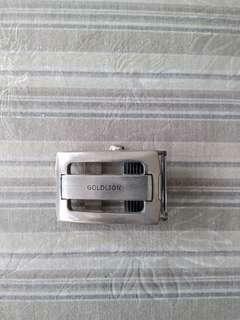 Used Goldlion belt buckle. Still in good condition. Can fit up to 3cm of belt width. Not for fussy buyer. Meet up at Bouana Vista mrt (East West Line or Circle Line). Add another $1.00 for normal mail. 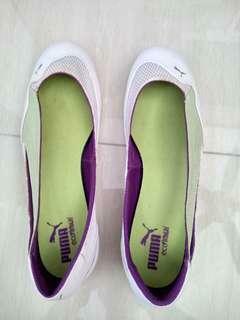 Puma Eco Ortholite ladies leather sneakers. Still in good condition. No torn. Only some yellowish due to keeping too long. Not for fussy buyer. Size : US 7.5, UK 5, EUR 38, CM 24. Meet up at Bouana Vista mrt (East West Line or Circle Line). BN Crocodile Long Sleeves Shirt (Adidas / Nike / Uniqlo). 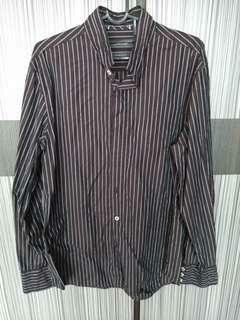 Used Zara Man Studio long sleeves shirt. 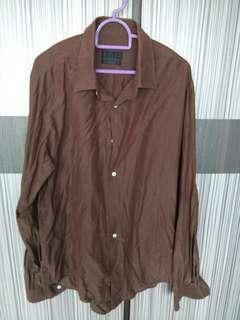 Colour dark brown. Still in good condition as I wore it twice only. No stains or torn. Made in Spain. Size L or 42 (see last picture). Meet up at Bouana Vista mrt (East West Line or Circle Line). Please add $2 if want it by mail (normal mail). Brand new with tag Levi Stauss Signature. 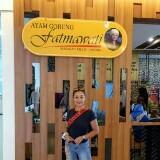 Colour light brown and its coudoroy. Size : Waist 32 & Length 34 (see last picture). Meet up at Bouana Vista mrt (East West Line or Circle Line). Please add $2 if you want it by mail (normal mail). 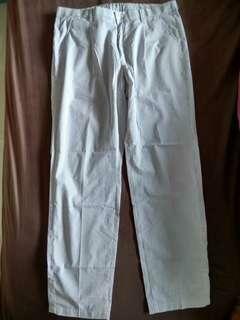 Considered new Uniqlo long pants. Wore once only coz don't like the colours. It is white & grey stripes long pants. 2 front pockets and 2 pockets at the back. There is also a string on the waistline to tie. 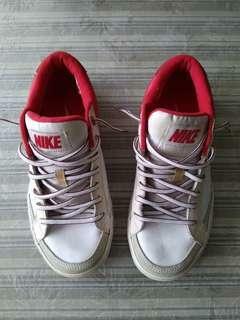 In very good condition and very comfortable. No stains or torn. Size L (see last picture). 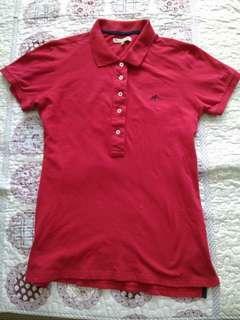 Sacoor Brothers red polo t-shirt for lady or woman. Still very new and good condition. Size L and its authentic. BN Optical Swimming Goggles -2.5 (Not Arena, TYR, Speedo). 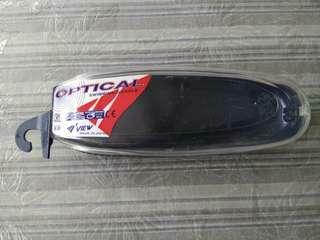 Brand new Optical swimming goggles (-2.5 degrees). Made in Japan. Black colour. Retail price at $39 (see last picture). Nike Sneakers (Not Adidas / Coach / Crumpler / Skechers). 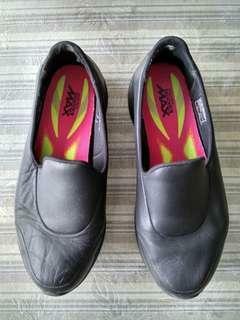 Black Skechers Shoes - GoWalk 4 (Not Adidas / Nike / Coach / Crumpler). 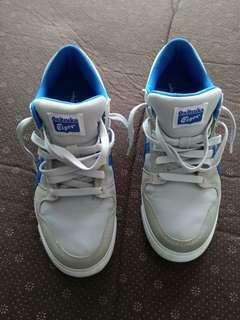 Used Skechers GoWalk 4. Totally black in colour. Can wear for sports, leisure, work or school. Still in good condition. Sign of use and wear (see picture 5). No box. Not for fussy buyer. 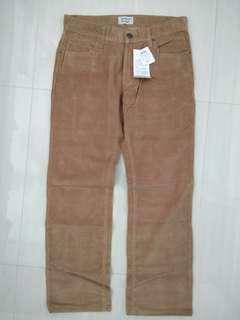 Size : US 8, UK 5, EUR 38, CM 25 (see last picture). Brand new belt buckle. 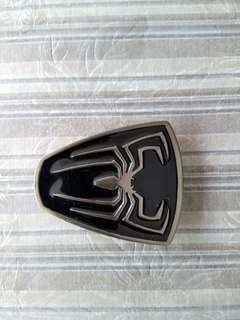 Very nice spiderman design on it. Can fit a belt up to 4cm. No belt, just the buckle itself. 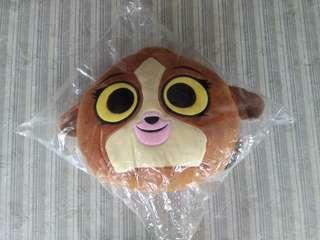 Brand new in plastic Kou Kou cushion or stuffed toy by DreamWorks and used 16" or 41cm Barney soft toy (clean n still in very good condition). Onitsuka Tiger - Sport Shoes (Not Adidas / Nike / Skechers / Crumpler). 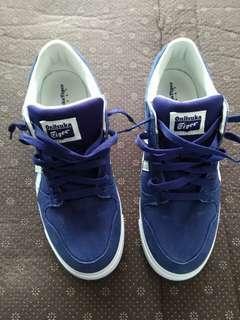 Onitsuka Tiger - Sport shoes. Still very new and in very good condition. 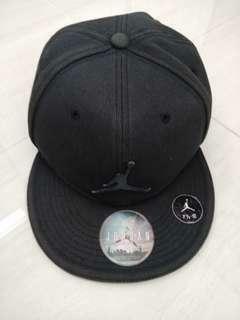 Just wear it for a few times only as the size is slightly big for me. Very comfortable and nice colour. Shoes are washed and cleaned. No box. Size : US 9, EURO 42.5, CM 27. 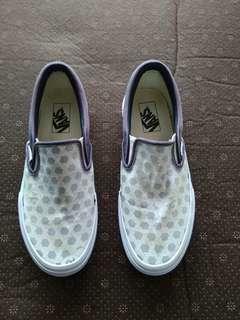 Used authentic Vans shoes. Washed and cleaned. No torn or holes. Shoes are in good condition. 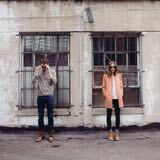 Colour of the shoes faded. Some yellowish on the shoes. No box. Not for a fussy buyer. Price negotiable. Size : US 6 / EUR 38 / CM 24. 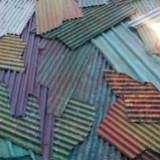 (See picture 5). Hadith 40 - Terjemahan Dan Syarahnya. 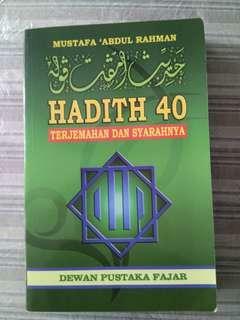 Hadith 40 Terjemahan Dan Syarahnya by Mustafa Abdul Rahman - Dewan Pustaka Fajar. Book is in very good condition. LG Digital Radio And Alarm (Not Philips / Vidal Sassoon / Samsung / Sony). 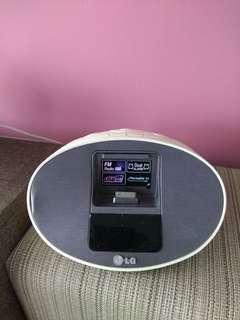 Used LG digital radio and dual alarm. Slight dent on the right hand side (front) but does not affect the features or the sound. No box and no manuals. Not for fussy buyer.